Declan Finlay is the best Retriever that Glitnir has. Well, he is now that Connor Strand has gone rogue. In a world where magic is rare, Joseph Jamieson is one of the most powerful holders of power. Orophin Tiwele, or Phin to his friends, is the son of the Elf King and has magic of his own. 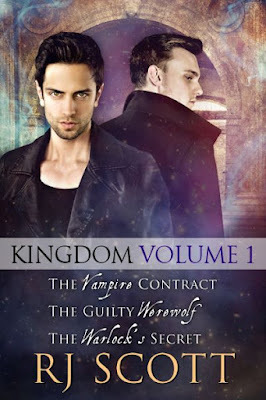 The rules say two supernatural beings with magic cannot be together and Joseph and Phin have lived by that rule despite their attraction to each other. Nicholas has worked hard for his position on the Werewolf Coalition. Having access to whatever is happening inside the Coalition is important to the Underground and he's good at blending in.